Editor’s note: This is part 5 in a five-part series on growing and maintaining wealth. Read part 1, part 2, part 3 and part 4. 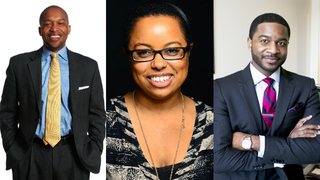 We asked 11 black entrepreneurs from a variety of industries—including technology, finance, advertising and human resources—to give us their best pro tips on how to build wealth. Here’s what they had to say. Walton is co-founder of Walton Isaacson, a full-service advertising agency with offices in Los Angeles, Chicago, New York, Miami and Tokyo. Teele is founder of CurlBox, an exclusive monthly subscription plan for natural hair-care products. Panda is the CEO and founder of b condoms, a socially responsible condom company that caters to the unique experience of a diverse youth culture around sexual health. Manning is the CEO of OnceLogix, one of the world’s largest providers of customized, Web-based electronic health care records. Young is co-founder of MindBlown Labs, an education-technology company, and the Hidden Genius Project, a program that teaches technology to young people. He’s a serial entrepreneur with a passion for empowering young people through technology. Turman is president and CEO of Integrated Finance & Accounting Solutions, an accounting and financial-services firm that helps companies maintain a profitable business model. Branch is the co-founder and CEO of Miss Jessie’s products for curly hair. Hausif is an award-winning social entrepreneur and communications consultant best known for creating Around the Way, a mobile application that locates the nearest black-owned business. Opara is the founder of Heat Free Hair, a company that provides 100 percent virgin-hair extensions designed to match a woman’s natural hair texture. Williams is the founder of PurchaseBlack.com, a website he likes to call the “black Amazon,” which was created to help African Americans find goods and services made for and/or by other African Americans. Calvin is the founder of Michelle in Training, a mentorship nonprofit in Washington, D.C., that helps turn girls into leaders. She also founded Blerdology.